Whether something breaks down with your IT infrastructure in Chicago, or whether you simply need a computer repaired, your entire workflow can grind to a halt at anytime. With a standard break/fix service contract, you wait for a component to break and then your service provider fixes it. That approach might seem to make sense initially, but eventually you might find the reactive approach to problem solving leaves far too much to chance. As a thriving business, you might want to keep your IT systems from ever falling apart in the first place. The adage ‘an ounce of prevention is better than the pound of cure’ is one we are all aware of. However, in this industry, we all too often see organizations neglecting the wisdom of prevention, subsequently incurring shocking losses – of time, resources, energy, cost, productivity and mindshare – that come from IT breakdowns. Easily Budget your IT expenses – We provide an all-inclusive, flat-rate for our IT services, which allows you to set a fixed budget. This prevents fluctuations in spending that could very well disrupt your entire financial plan. Vested Commitment – With managed services from AKA, our sole interest is in ensuring your systems are consistently stable and reliable. The reliability of your systems is directly linked to our own success. 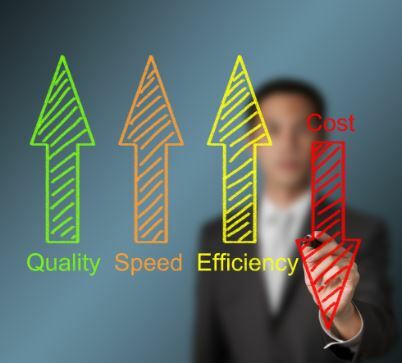 Managed services from AKA provide you with all of the advantages of having consistent performance and more predictable expenses, while avoiding the common problems of trying to allocate massive budgets for needed IT infrastructure projects. Are you tired of having no idea what computer repairs in Chicago are going to cost your company? You Can Wait for Your Computers to Break or Just Contact us.